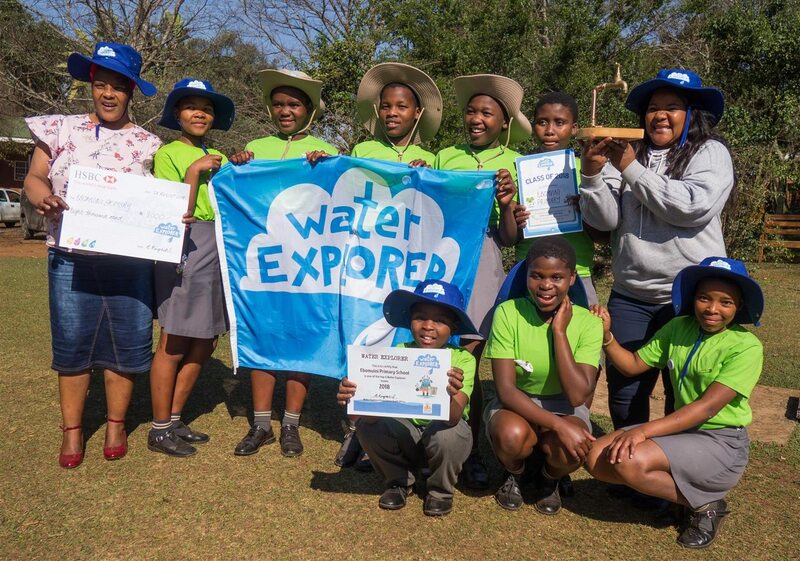 Six of South Africa’s top Water Explorer teams recently gathered at Umgeni Valley in Howick to present their inspiring water saving efforts to an expert panel. The incredible teams included Mjila Primary, Chelsea Preparatory, Port Shepstone Junior Primary, Home School Amazing Gig, Ebomvini Primary and Shea O’Connor Combined School, each with their own unique story of how they had made a difference to their water usage over the past year. Teams came from afar field as Hermanus and Creighton in KZN and represented a diverse cross-section of schools, from deep rural to city schools; high schools, junior primary schools and even a home school, reflecting the flexibility of the programme. 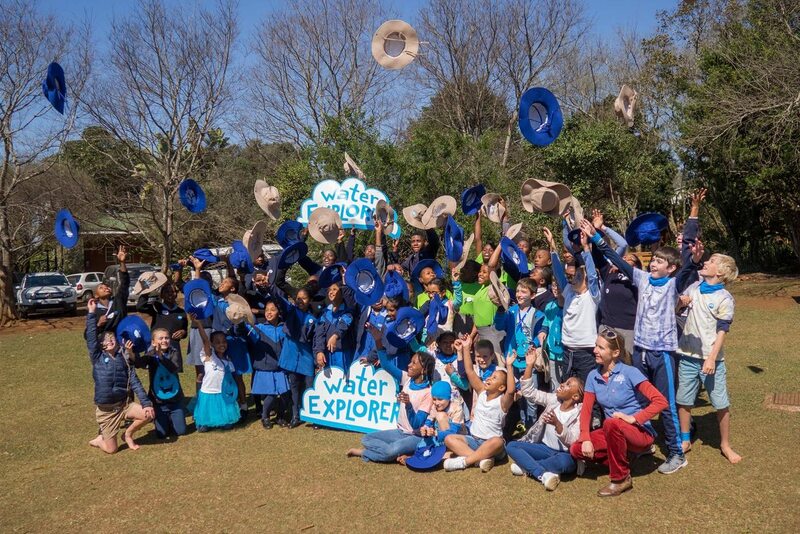 Water Explorer is an online fun, inspiring and educational programme which empowers learners to lead joint action on environmental issues looking through a ‘water lense’. Supported by GAP UK the programme started in 2014 and is implemented by local partner, ACT (African Conservation Trust) in South Africa. Schools or enviro-clubs register for free on the Water Explorer website. They are able to choose from a variety of water related ‘challenges’, which are CAPS aligned, action-orientated lessons on various water issues. As teams enter their results online they start to ‘replenish’ a virtual online wetland. 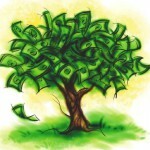 They also use the blog space to report on their efforts with write ups and photographs to document their efforts. 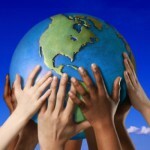 As their virtual wetland improves, so do their water saving practices at school and home. Each country selects their top teams for a special event, one is chosen to represent the country at the International Water Explorer event in London. “Water Explorer shows us how easy and rewarding it is to become environmentally friendly, it just makes sense,” commented Jamie le Roux from the Home-School team while Joshua Whitehouse, said that being part of Water Explorer highlighted the need for more people to care for and love our planet. Ebomvini Primary was selected as the top team for 2018 amidst tough competition. The expert panel were impressed with the way the whole school participated and how their actions were embedded together with the fact they had involved their parents and community wherever possible. Located 30km inland from Port Shepstone the Ebomvini Oasis Team have been active Water Explorers for 2 years. Some of their most notable projects have been safe-guarding a local wetland, building their own pond to attract frogs into their permaculture garden, which is watered with grey water and mulched to prevent evaporation. They tackled non-recyclables, such as chip and sweet wrappers which ultimately end up in our rivers through Eco-bricking from which they made useful outdoor furniture. They have ensured tippy taps are always available for washing hands and the drinking buckets and cups are always on hand in every class so water wastage is minimised. 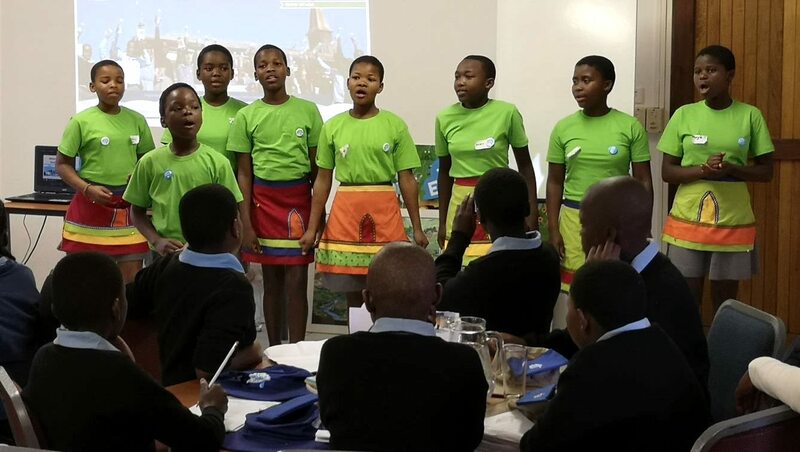 They created their own Water-wise recipe book and did a clothes swap with 150 of their learners saving tens of thousands of litres of water indirectly. Topping it off they hosted an incredible water festival that was attended by the whole school and local community. The money they were rewarded for their festival is being used to purchase another Jojo tank after they worked out how much water can be harvested from their roof surfaces. Notably they have involved all teachers in the programme and despite not having access to the internet were able to Whatsapp all their project photos and project write-ups to the Water Explorer support office for posting on the site. 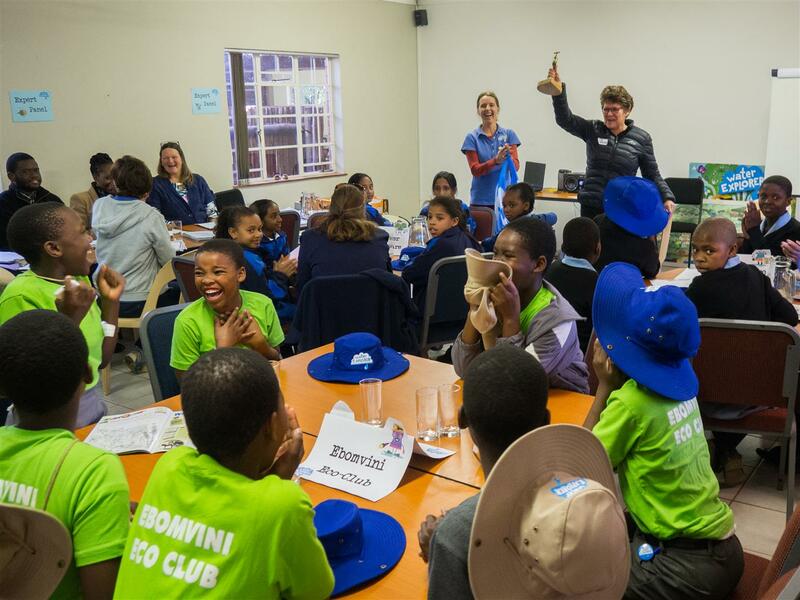 While all teams were winners, the day culminated in awarding Ebomvini Primary with the Water Explorer Tap trophy, R8 000 toward their Eco-projects and representing South Africa at the International Water Explorer event in London at the end of October. The other teams were all awarded R4000 each. The event was also celebrated with a delicious low water footprint lunch of vetkoek, beans and fresh greens that also reflected the ethos of the programme. All ingredients were sourced locally within 30km. Ayanda Shabalala, from Shea O’Connor commented that Water Explorer had encouraged her to change her eating habits after learning about the impact that meat has on water resources. She was astounded to learn that it takes 2500 litres to make just one burger and is committed to eating beef no more than once a week. Water Explorer is funded by the HSBC Global Water Programme but is currently looking for a funder beyond 2018. 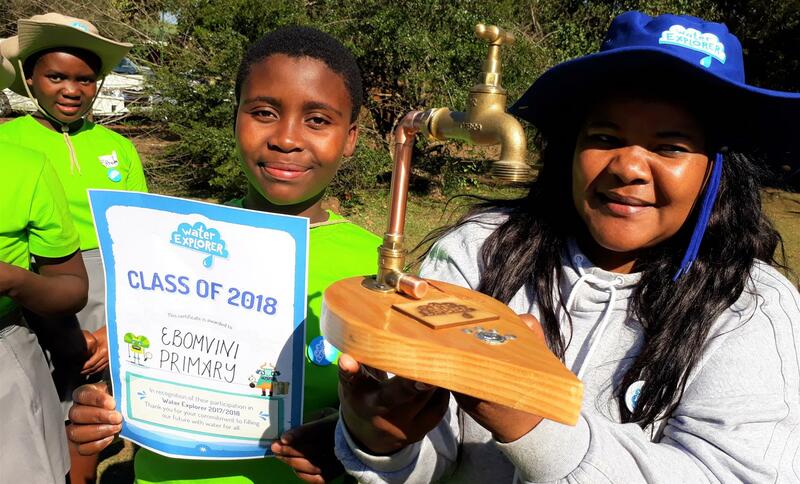 “Water Explorer has taught us that everything is inter-connected and that saving water means considering what we consume and buy as everything has a water footprint, it’s not just about turning off taps” were the wise words of Youth Mavundla, teacher and coordinator of Ebomvini Primary.